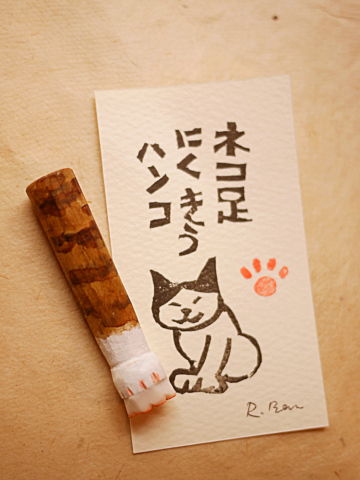 Cat paw stamps from Japan add a dash of feline whimsy to any type of non-digital media. Hand-made and painted to match 8 different cat breeds, these “wee paws for communication identification” make great gifts for the cat-lover who thinks they have everything. Signature stamps known as “hanko” have been used in Japan for centuries as a personal means of identification. Since many people consider their pets part of their families, shouldn't Japanese cats have their own hanko as well? OK, so your precious furball doesn't actually write letters nor creates any sort of analog work requiring a signature... but so what? 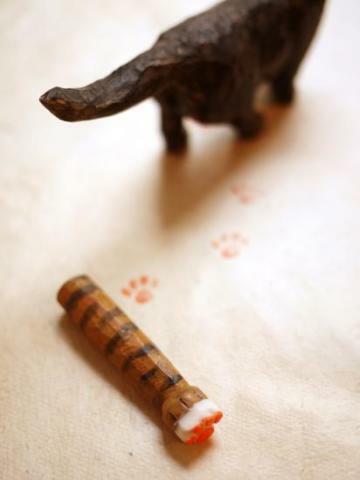 Your cool kitty could be the first feline on the block with a hanko and because they're hand-made by Chimajiya's skilled crafts-people, each cat paw stamp varies slightly from the next. 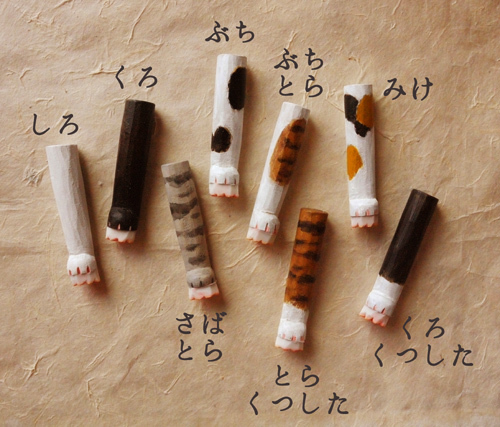 Chimajiya offers customers a choice of 8 different hand-drawn and hand-painted cat paw stamps: white, black, calico, tabby, white-sox tiger, white-sox black, tabby & white, and tuxedo. That should cover the most popular domestic cats though hairless Sphinx Cat paw stamps aren't available... yet. You can order these 6cm (2.3”) long cat paw stamps direct from the Chimajiya website and at press time they're priced at 972 yen (about $8) per stamp.